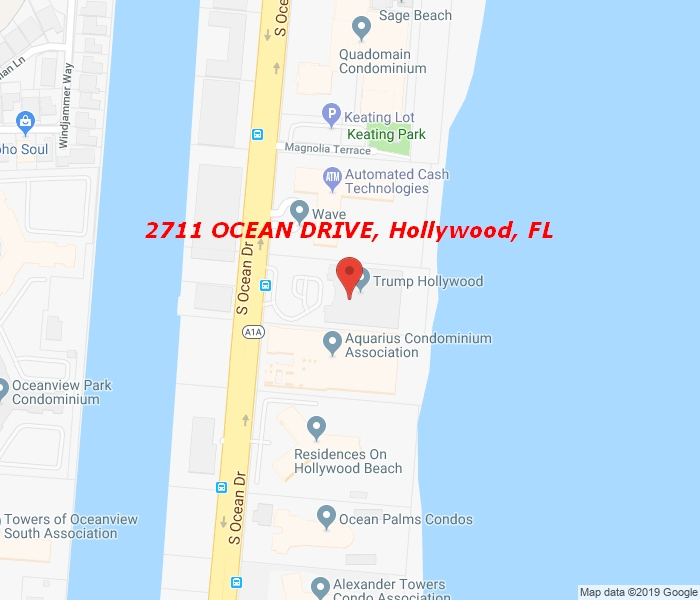 Ocean front living at luxurious boutique building; Trump Hollywood. Largest 3 bed floor plan with 3.5 bath. Enjoy panoramic ocean front and city views. Private elevator will lead into gorgeous marble foyer. Wood cabinetry kitchen with top of the line appliances, and custom wood closets throughout. Resort style amenities include: concierge, breakfast cafe, cigar lounge, theater, fitness and spa center, tennis court, restaurant, and beach services.